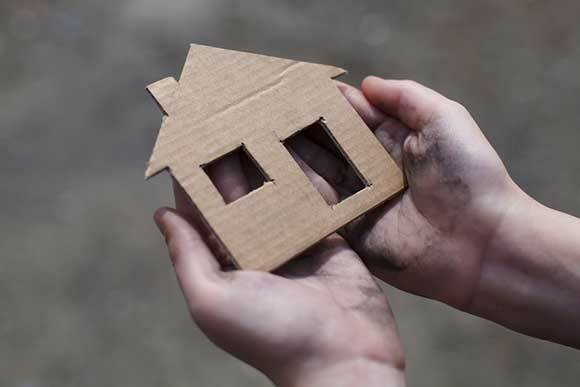 The New South Wales Government is calling on everyone with an interest in preventing homelessness to have their say in a new blueprint outlining the state’s strategy over the next decade. In its new discussion paper, Foundations for Change – Homelessness in NSW, the state government will explore how the private and community sectors can collaborate to ensure fewer people experience homelessness. Minister for Family and Community Services and Social Housing Brad Hazzard also said the blueprint would look at ways to tackle the underlying causes of homelessness that put people at risk. “Homelessness isn’t just the men you see sleeping rough,” Hazzard said. The announcement comes after an open letter to Premier Mike Baird, from planning experts, housing and homeless peaks and property sector representatives, called on the government to act on housing affordability. They said the state needs to create 100,000 new affordable homes in 10 years to tackle homelessness and the housing problem. The Public Interest Advocacy Centre, which runs the Homeless Persons Legal Service, welcomed the announcement and said it was a “once in a decade opportunity” to tackle homelessness. Senior policy officer for Homelessness and Human Rights at PIAC Louis Schetzer told Pro Bono Australia News Sydney’s homelessness problem was reaching crisis point. “What we’ve seen over the last three or four years is a rapid increase, particularly in primary homelessness in Sydney,” Schetzer said. “The figures are quite dramatic as borne out by the street counts that are undertaken by the City of Sydney and the City of Parramatta where we’ve seen massive increases in rough sleeping over the last three years. “Now obviously that’s just the tip of the iceberg in terms of the issues of homelessness and it’s impact in New South Wales. But it’s an indication that there is a chronic need that needs to be addressed now. PIAC CEO Jonathon Hunyor also said the current levels of homelessness were “unacceptable”. “According to the City of Sydney’s StreetCount, the number of people sleeping rough has increased by 12 per cent since this time last year, and 55 per cent since August 2013,” Hunyor said. “For homelessness to be going up in Sydney in 2016 is simply unacceptable. Schetzer said PIAC, which also provides advice to government on homelessness and housing via consumer advisory committee, StreetCare, would include the voices of homeless people in its submission. “We’ll be playing an active role in getting the voices and opinions of consumers – people who have a lived experience of homelessness and are still homeless – in contributing to this review, this consultation,” he said. “We believe it’s fundamentally important that their views are heard and considered in the process. Homeless people are often the most important stakeholders in terms of working out the appropriate responses to dealing with homelessness. “I think one thing that is coming clear from the views that we’ve heard from consumers is that the government needs to commit itself to some very real, measureable targets in terms of reducing homelessness in New South Wales. Schetzer said a reasonable target would be to ensure one homeless person a week receives stable, safe accommodation. “There needs to be a net movement of reduction of one person per week in terms of the numbers of homelessness, and… over time we can look at addressing this more. According to the government, there are around 58,000 people in the state who are homeless or at risk of homelessness. Schetzer said the organisation was hopeful that the discussion paper signalled a change in the government’s response to homelessness. 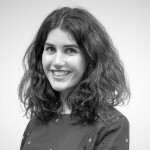 “Certainly the views that we’ve had from people who experience homelessness is that they’ve seen many initiatives come and go with very little change in net result. And in fact over the last few years a massive increase in homelessness in Sydney,” he said. “We’re hopeful this strategy will lead to something real, some real initiatives, and also addressing the problem areas across government where people are placed at risk of homelessness. Not sure about the ‘one person a week’ goal but I am keen to see this opportunity seized with significant & systemic changes that increase housing affordability. I’ve worked in this space for decades & it has worsened, not improved. We need to impose quotas on ALL high rise new builds through planning processes. Eg expand SEPP 70 to all metro Councils, AND put rent control back on the agenda (yes that’s right, back to the future). Sydney has become a slimy developers playground, at a cost to many, tincluding hose most vulnerable and to the environment. A Universal Basic Income will solve the root problem of growing inequality and the growing scarcity of reliable jobs. One person a week means well over a thousand years to address the current problem. And this is just NSW…. How much did we hear about housing during the election?! Good thing perhaps that people don’t live that long !